Links can now be added between project schedule files so that dates from other files can be linked to the current schedule. Now large projects can be broken down in a master project linked to many sub-projects. Formulas can now be used in the start and finish fields. If the formula does not result in a plausible date, the original contents of the field will be automatically restored. Corrected a calculation error in the labour chart. Fixed bug related to change in weekend definition via the Calendar dialog. This resulted in implausible date calculations. Formatting of date field is updated so that when a period of 1 month or greater is shown, only the month information is shown, not month and day. Colour overrides now also override the default colour for a milestone. 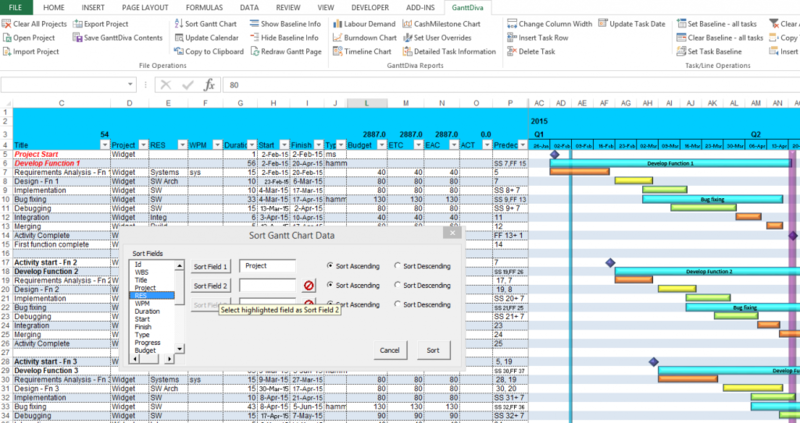 After loading a project file, the excel save command can be used to save any changes you make to the file. It is no longer necessary to use the Export Project command save your changes. 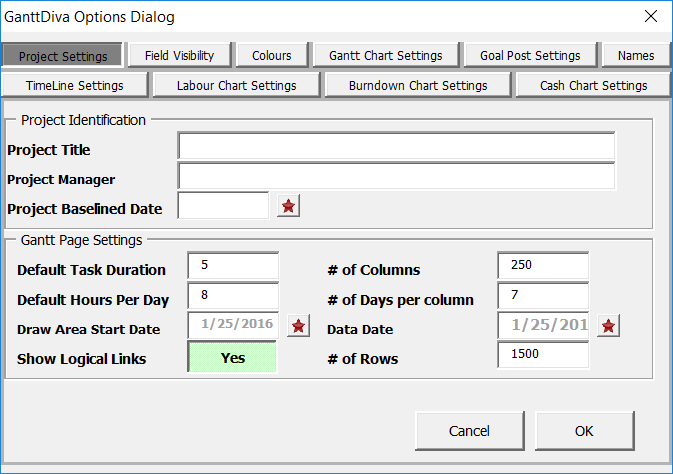 The new GanttDiva Options Dialog changes the way that you work with GanttDiva. It has been created to control all configuration options and replaces the Configuration worksheet. It can be accessed from the GanttDiva Ribbon and any configuration changes are effective as soon as the Dialog is closed. This Dialog offers greater flexibility over the previous version, with several new configuration parameters. A comprehensive update to the Help file describing all of the new capabilities is also included. Resolved issue where formula in the ETC field will be overwritten when a budget update occurs. 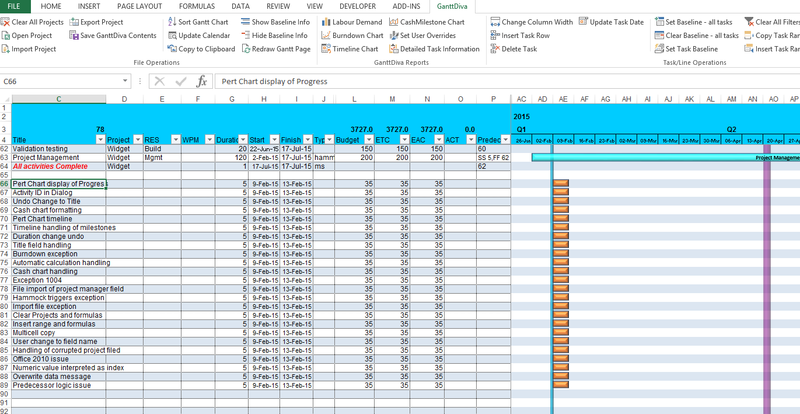 Now able to select all cells on a row in order to update formatting information. Improved speed of update after a calendar update. Fixed issues related to calendar handling. 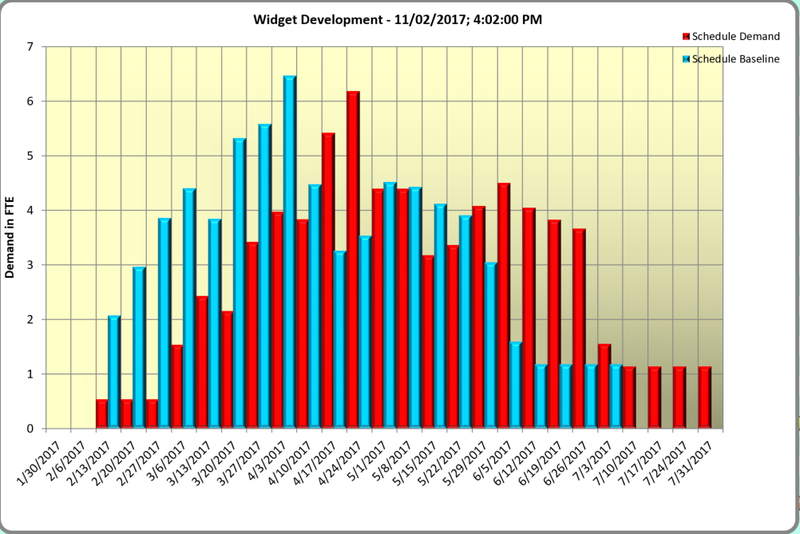 Corrected handling of hammock data entry on the Gantt page. Corrected hammock predecessor logic handling when predecessor date is changed and falls on a holiday. Correct several bugs related to handling of macros. Fixed bug where file open and save dialogs on some computers with 64 bit version of Excel triggered a halt. This fix required a change to a new license handler, so existing users who upgrade to this version will need to get a new license (at no additional cost). 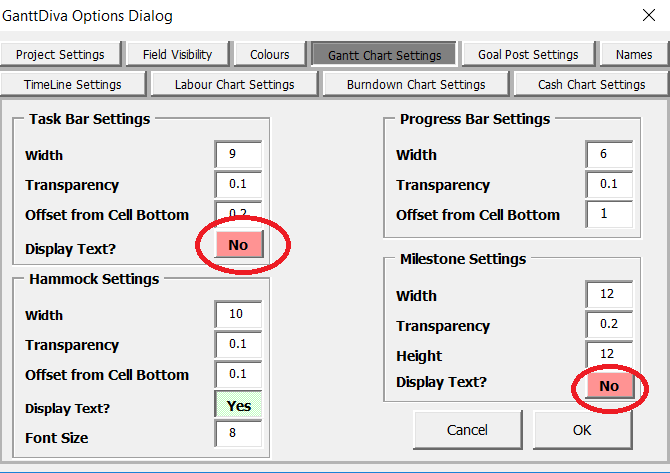 Corrected user entry scenario where row height was changed when a new row was created. 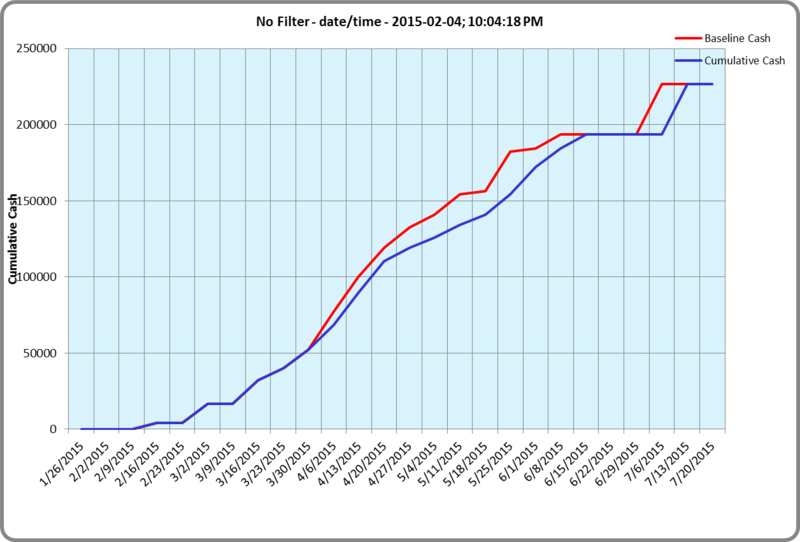 Corrected bug where data series are removed from the cash chart when it is visible and a filter is applied. 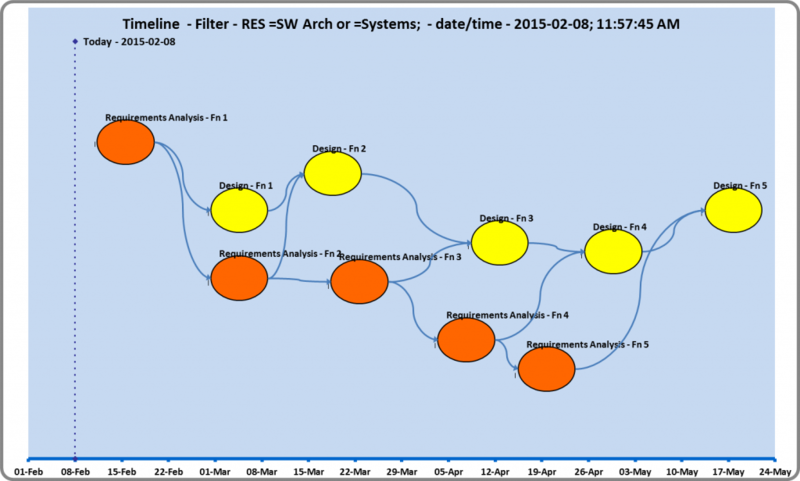 Fixed bug where a label > 80 characters can trigger an exception when a Timeline chart is created. Filter only the current task and its immediate predecessors and successors. This command is available via the ribbon bar or by right-clicking on a cell on the Gantt page. You can now save and restore your GanttDiva configuration, including all colours, calendar settings, etc using the Get and Save GanttDiva Settings commands. You can share your configuration with other users so that everyone will have exactly the same settings. GanttDiva now supports multiple cell selection in all fields. Effortless copy and paste both within the Gantt page and from other files to the Gantt page. Comments in fields can be exported in project files. Fractional values can now be entered for budget, actuals, etc. Copy data either from within GanttDiva or another file and paste into GanttDiva. If the data is pasted into the Title field, then new tasks will be created automatically. The paste operation won’t change any fields that are hidden by an active filter or overwrite existing data if plausibility checks don’t pass. Copy and paste operations can be performed on any GanttDiva field. Track Cash flow for your project. Associate a cash value with any task or milestone and chart both current and baseline cash flow for your project via the new Cash Milestone Chart. You must first create a baseline for your schedule using the Set Baseline command in order to see a baseline cash data series. 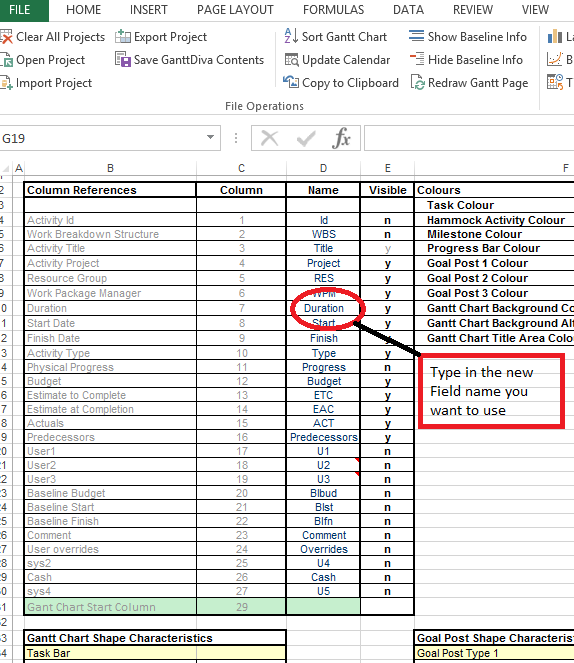 GanttDiva now supports Excel 2013! The ability to customize colours and background patterns for individual tasks. 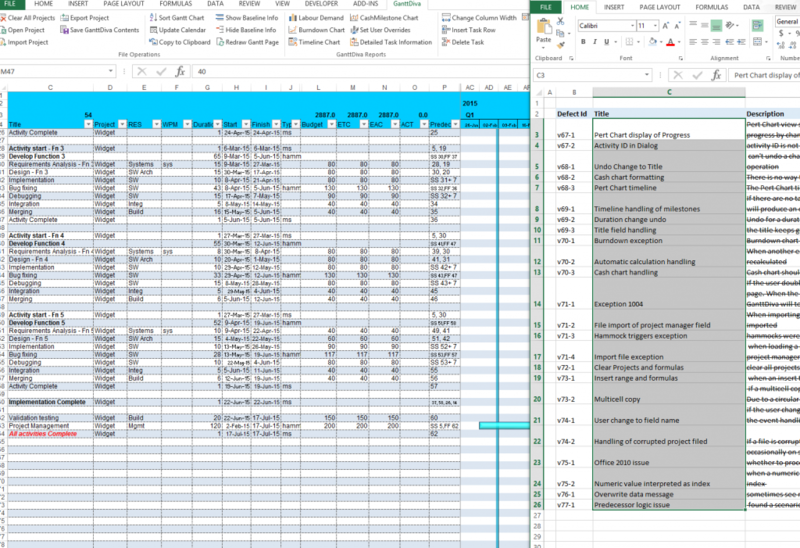 Any colour in the Excel Palette is available! The Free version of GanttDiva has now been integrated into the release. GanttDiva also has some additional bug fixes to further improve its stability. GanttDiva has also been updated with bug fixes to further improve its stability. As of Version 1.34, updates for versions earlier than Excel 2007 are no longer available. update cells with correct cell background information after all operations including sorting, import, range deletion, undo operation, etc. correct handling in the detailed task dialog when a task is deleted, another task added, its logic changed and then another task is selected. Corrected handling of circular references when entered directly onto the Gantt page.